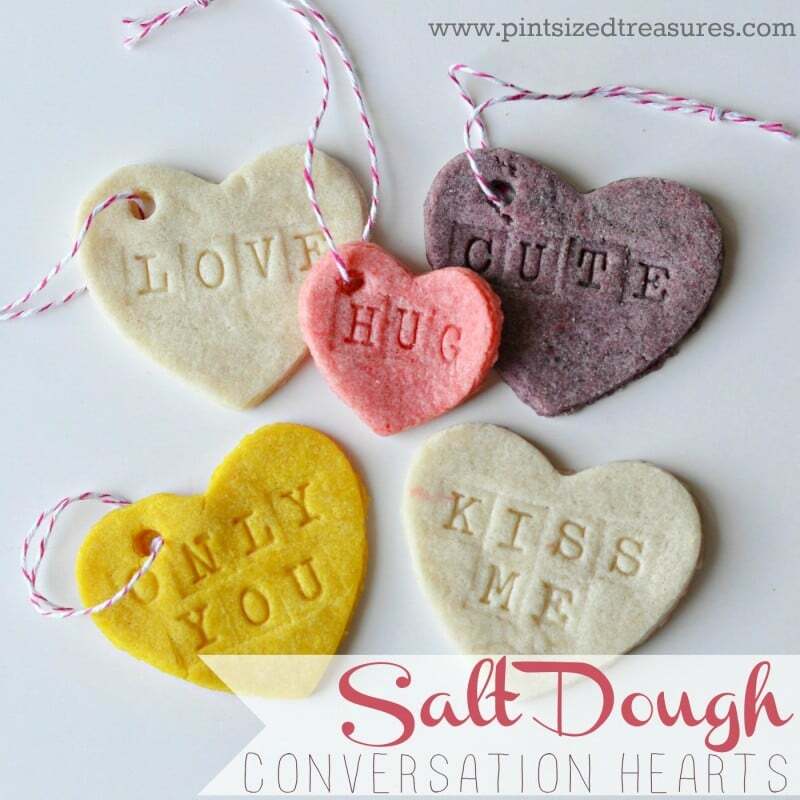 Conversation Candy Hearts have been a Valentine’s Day staple for over a century. 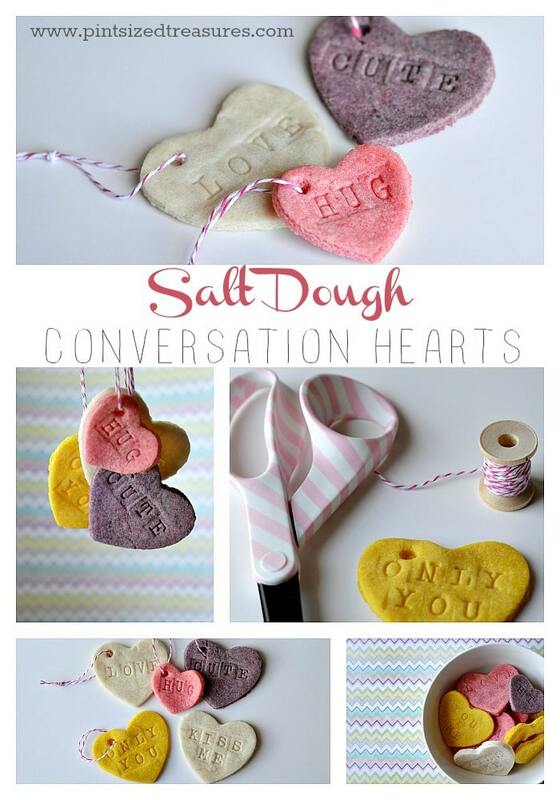 Here’s a hands-on craft inspired by the timeless candy that will have you and your kids sharing conversation over salt dough and cookie cutters! For this craft, you’ll need to begin by making a batch of salt dough. Mix the flour, salt, water, and oil together in a large bowl. If needed, you can add a little extra flour or water until the dough reaches the right consistency. Separate portions of the dough into smaller bowls. We divided ours into four portions. Add drops of food coloring to each bowl and mix it with the dough thoroughly. Tip: You may want to use your hands to mix the color in after mixing it a little with a spoon. If you divide your dough into fourths, about 5 drops of food coloring works perfectly. 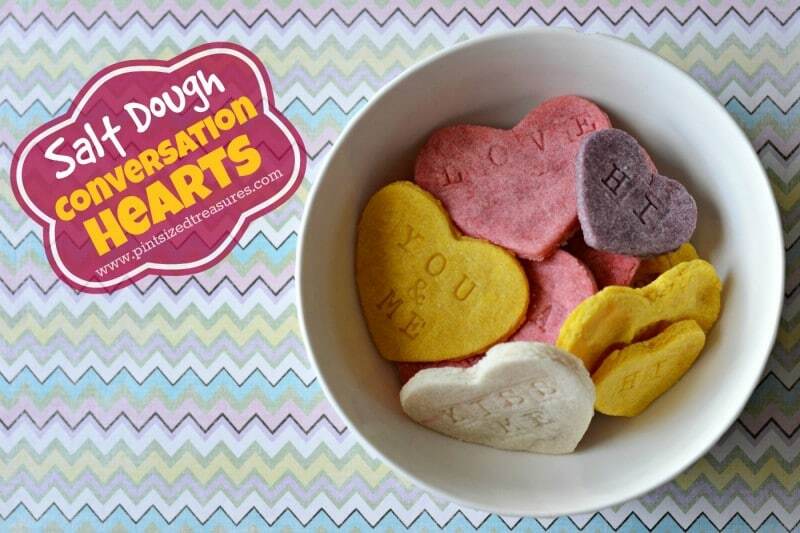 We left one portion of dough white since that is one of the colors of Conversation Hearts. *Our recipe can also be seen on this post for Salt Dough Leaves. 1. 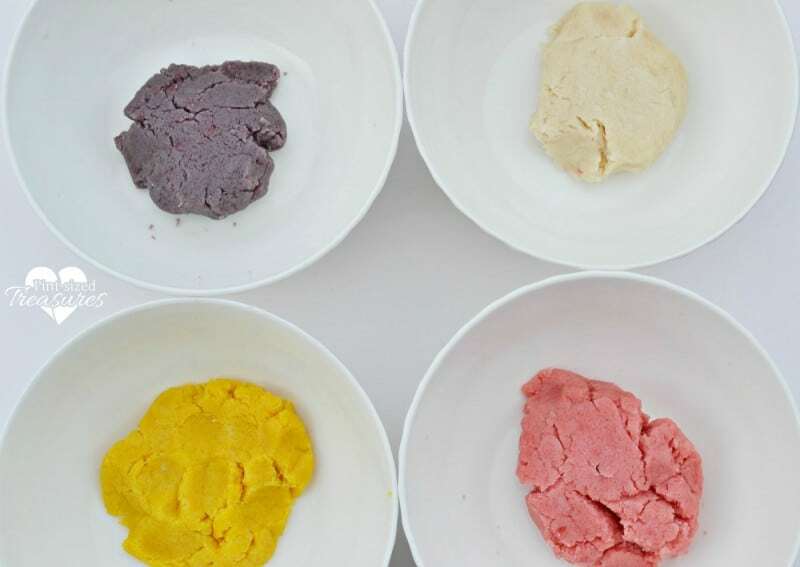 Prepare a batch of colored salt dough and gather your materials. 2. 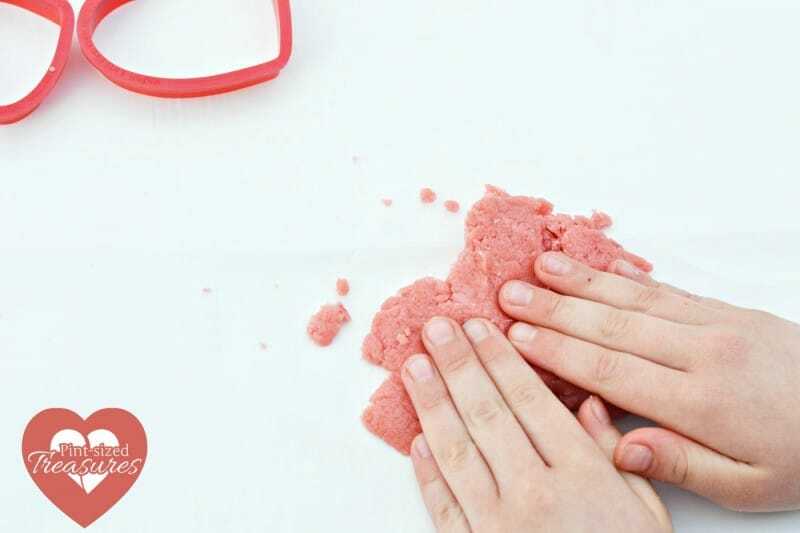 Pieces of parchment paper make a great non-stick mat for the kids to play with the dough. 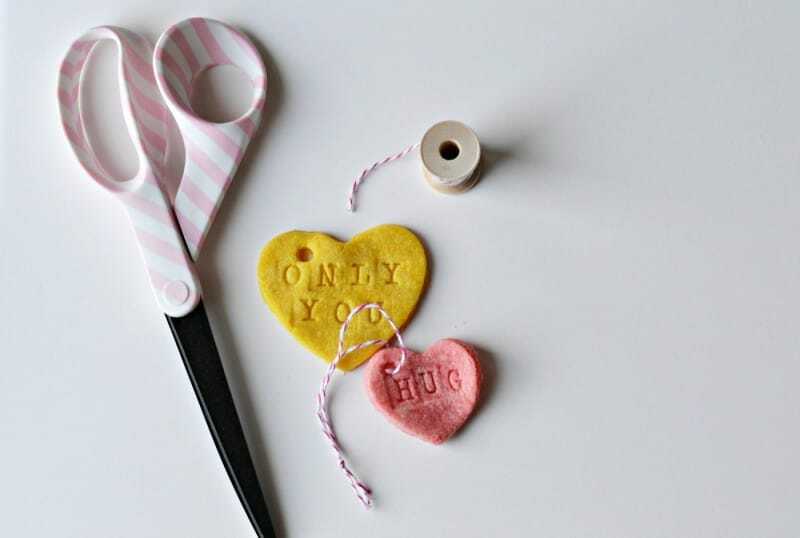 Have them flatten out pieces of dough and use the cookie cutters to cut out hearts. 3. 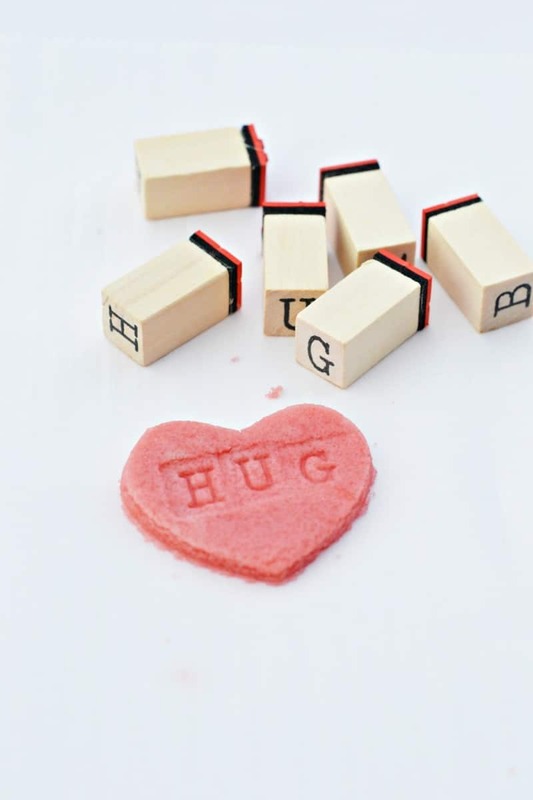 Then they can gently press the letter stamps (no ink) into the dough hearts to create messages. This part of the craft is great spelling practice for the kids. 4. Lay a piece of parchment paper onto a baking tray. Place the stamped hearts onto the tray. 5. Use a straw to punch holes through some of the hearts. This will allow you to string twine through them once they have hardened. 6. Either leave the hearts to dry on their own for 24-48 hours or bake them in the oven on about 175 degrees for a few hours. 7. String pieces of baker’s twine through the hearts with holes. 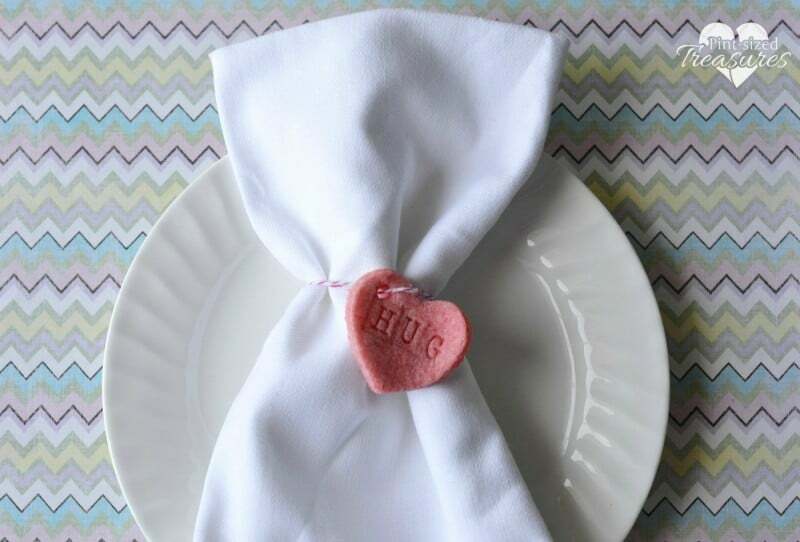 These are perfect to hang up as decorations or use as napkin rings for a Valentine’s Day place setting. Your other hearts will look lovely displayed in a dish or secured on the front of Valentine’s Day cards you are giving away to others.